Each year SRA recognizes individuals who are making a difference in our community. 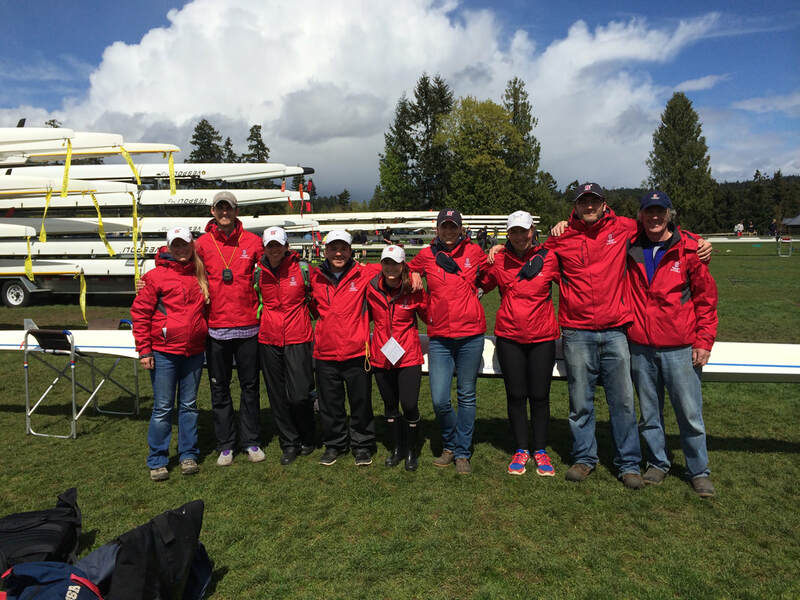 They are the volunteers, rowers, coaches, and crews that embody our values and inspire others. Award recipients are recognized at the Annual Gala in February. Submit nominations, cast your vote, and view past recipients below. Voting is open from February 4 - February 8. Learn more about each nominee below. SRA relies on the generosity and service of volunteers. ​The following volunteers were nominated for going above and beyond in 2018. Learn more about the nominees below. SRA has nearly 50 dedicated, hard-working coaches who are passionate about helping our rowers discover their unbounded potential. Each year brings new challenges and new opportunities. Our rowers embrace adversity and achieve in the boat, classroom, and beyond. I coach because I love being a part of people of all ages growing and learning. More specifically with our juniors, seeing them achieve their goals in rowing and how that impacts the trajectory of their lives. Watching them beyond SRA and rowing; seeing where life takes them; and getting to stay connected with them brings me fulfillment and joy that is difficult to put into words. Seeing them after races, on the medal stand, watching them as they realize they have accomplished something that maybe they didn’t think was possible, is incredibly rewarding. With a little nudge, a little direction, a little support, and a little courage, rowers of all ages light up when they learn something that makes them stronger. SRA is a place where I can create those moments with so many athletes, and for me that is the joy and the magic of coaching. I love being out on the water early in the morning, seeing the changes on the lake with the seasons and dealing with the challenges of unpredictable weather. I enjoy helping a boat of rowers swing together and find a way to move their boat faster. I love to see boats racing side by side, stroke for stroke, competing to push their bowball ahead. And I love the group of people who row at 5am and being part of the team's effort to be successful and win more medals. The reason I came back to Sammamish is because of all this club has given to me. I love being able to give back to the community that gave me so much, and I love being able to have an impact on future generations. Sammamish is my home and nothing gets me more excited than helping others find the same sense of "home" at SRA. I coach because I love creating an experience that brings out the best in people and I’m addicted to the swing of a good crew. There’s something extremely satisfying about taking a crew on a journey and achieving a result they didn’t expect. After a decade and a half of coaching I am still moved when a crew achieves their full potential. This is Barbara's second year with SRA and she has been our parking lot fixer since September. Her son David rows with the experienced boys. Barbara braves the cold, dark, and rain to help keep the parking lot moving when junior and masters practice overlap on Tuesdays. It's a tough job to move over 200 cars through the lot in 30 minutes! Volunteering for me is just plain and simple fun. I love the rowers, the action, the scenic locations, the opportunities to be creative with photography, the parents and coaches. Most importantly I can have all that fun, and know that I’m supporting my daughter with my presence and participation, even if at quite a distance. Hence the long lens really helps. James is a tenured SRA member, former board director and coach, and a long-time volunteer. "I volunteer as a means to give back to the SRA community. And to hopefully make a positive difference in peoples lives." James can often be found with his camera snapping pictures of SRA crews. Leslie joined the SRA board in 2014 and served as President from 2017 - 2019. Leslie began rowing with the ECM Masters team before switching to 5am in 2017. During her tenure on the board SRA completed the new boathouse, adopted its first Strategic Plan, created an equipment modernization plan, and significantly expanded rower benefits.